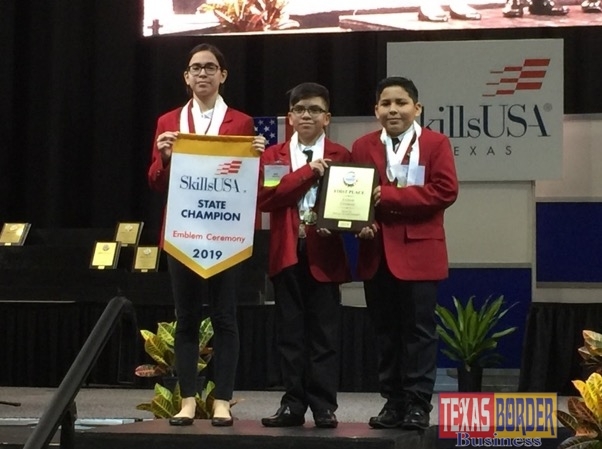 PHARR – Five students at Kennedy Middle School in Pharr-San Juan-Alamo ISD (PSJA ISD) were recently named State Champions and two advanced to the 2019 National SkillsUSA Skills & Leadership Conference to be held June 24-28, 2019 in Louisville, Kentucky. The Kennedy Middle School Technology Club Chapter 4439 advanced after competing at the State SkillsUSA Conference held April 4-7, 2019 in Corpus Christi. The students competed in seven events and earned a total of five State Gold Medals! 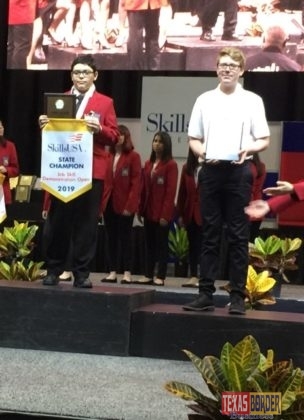 In addition to the five State Champions, David Hinojosa and Ricardo Torres will be competing at the National SkillsUSA competition later this summer. 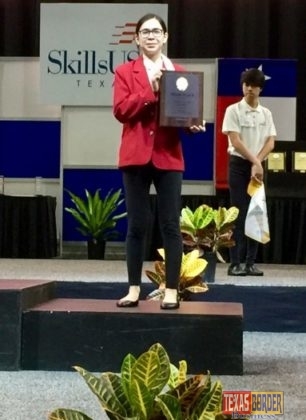 SkillsUSA Texas is a partnership of students, teachers and industry working together to ensure America has a skilled work force. 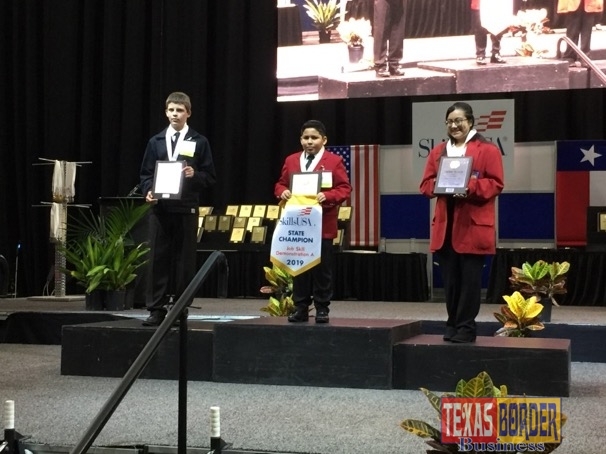 The Kennedy Middle School team is under the direction of PSJA Mathematics teacher Maximo Salinas. Congratulations to the students and their sponsor!